We have had hardly any rain in the South East of England for what seems likes months. And when I looked at the forecast for Sheenagh and Jeff’s wedding day, I realised that it could be “interesting” … with super hot, 35 degree temperatures during the day and potential flash flooding and storms forecast for early evening, this could be a challenging day … but it was spectacular. I have photographed for Sheenagh’s family in the past, for Lorna and Nathan’s wedding and so I saw lots of familiar faces and was made to feel extremely welcome. This additional to Sheenagh and Jeff’s wedding cake is just perfect for Jeff’s profession and he cut the wedding cake stand himself! With two bike outriders, the groom stopped traffic throughout Canterbury on his way across to Boughton Golf Club! Sheenagh, you looked amazing and you received so many compliments during the day. Stylish and elegant and so very, very happy! Bearing in mind the soaring temperatures, my lovely bride and groom were cool, calm and collected all day. And could hardly take their eyes off each other. I love a love story, don’t you? With the storm clouds looming, the dramatic sky created a perfect foil for the confetti shot … and within minutes of this image, the heavens opened and the rain was torrential … it’s all in the timing! It really was the most wonderful day and to see so many of Sheenagh and Jeff’s loved ones celebrating and some having travelled huge distances too. 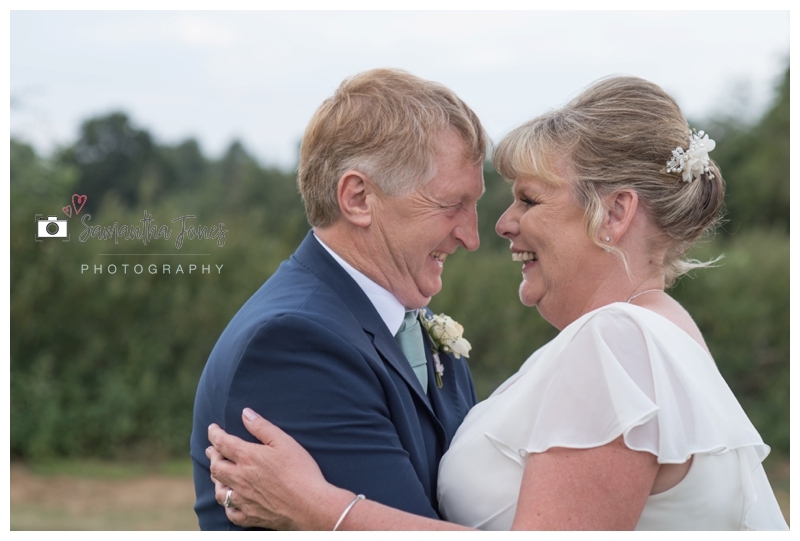 The beauty of the wedding packages that I offer is that a secure online gallery which can be shared with family and friends so even if your loved ones are far away, they can still enjoy looking through your wedding day story.